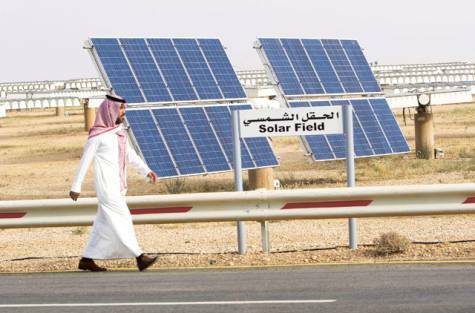 Saudi Arabia wants 10 per cent of its electricity to come from renewable sources within six years as part of a transformation in its power sector, the energy minister said today. Khaled al-Falih said his country, the world’s biggest oil exporter, will also sell renewable energy and its technology abroad. At a forum seeking investment in the sector, he announced “30 projects to be implemented” in order to reach a goal of about 10 gigawatts of renewable energy production early next decade. Virtually all of the kingdom’s domestic power currently comes from crude, refined oil or natural gas. But as part of an economic reform plan to wean the kingdom off oil, the government has embarked on what Falih called an “ambitious” renewables programme featuring solar and wind power. He has said the projects could cost between USD 30 billion and USD 50 billion.“The percentage of renewable energy by 2023 will represent 10 per cent of the total electricity of the kingdom,” he said at the start of the Saudi Arabia Renewable Energy Investment Forum. He formally opened bids on the first 300-megawatt solar plant under the renewables plan.